Though the Denver Broncos are the talk of the town this week, it is a white Ford Bronco that really defined Al Cowlings' life. It must be an odd thing indeed when your place in the American cultural canon is cemented by the car that you drove, but that is certainly the case here. A.C. Cowlings is best known for driving the white Bronco that was involved in a police chase when O.J. Simpson was charged with the murder of Nicole Brown and Ronald Goldman in June 1994, of which Simpson was later found not guilty. Since the second episode of the incredibly addicting The People vs. O.J. Simpson: American Crime Story focuses on that chase, viewers may be wondering, who is A.C. Cowlings? The first episode of American Crime Story ended with the beginnings of the chase, as Simpson suddenly fled with his friend, Allen Greg Cowlings, played on Amercian Crime Story by Malcolm-Jamal Warner. The actor spoke to Huffington Post Black Voices about recreating the famous chase, saying that the experience of shutting down the 77 freeway in Los Angeles for a weekend was "surreal," especially when he "look[ed] behind [him] and saw 20 cop cars in the rear view mirror." Before you see the FX series' take on him this Tuesday night, here's what you should know about the real Cowlings. Simpson met Cowlings when they were teammates at Galileo High School in San Francisco, as reported by the Chicago Tribune, but they actually played on the same team multiple times throughout their football careers. The two played side by side for San Francisco City College and the University of Southern California, as well as the NFL's Buffalo Bills and San Francisco 49ers. Cowlings also played for the Seattle Seahawks, Houston Oilers, and Los Angeles Rams during his professional football career, which ended in 1979. 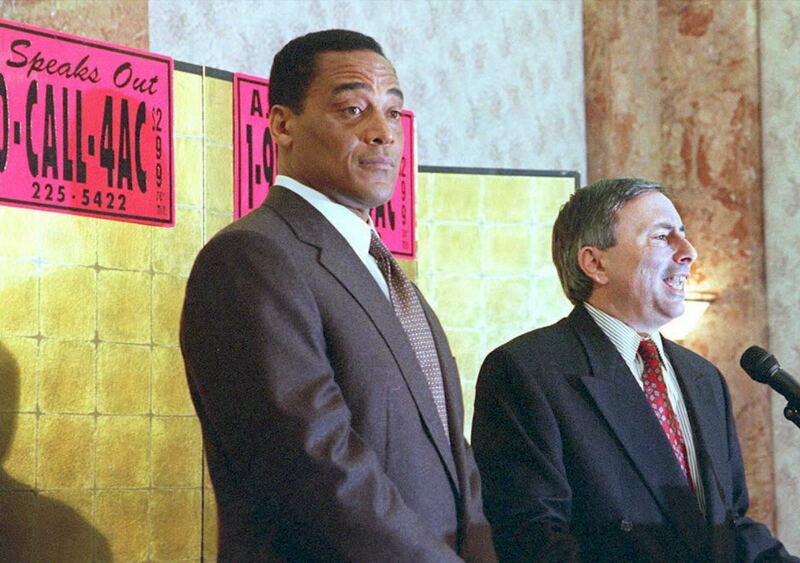 For driving Simpson during the chase, Cowlings was arrested on suspicion of aiding a fugitive, however, he was never charged due to a lack of evidence, according to the Los Angeles Times. In 2012, Fox News examined the lives of key players in the Simpson case and found that Cowlings was reportedly working as a handbag sales representative. Then in 2014, an ex-teammate told USA Today that Cowlings worked for the founder of Public Storage. Though The People V. O.J. Simpson debuted to the tune of 5 million live viewers, Cowlings may not be a fan. According to TMZ, Cowlings threatened to sue FX if the series negatively portrays him, and his rep told the website Cowlings "despises the media." We'll see how that portrayal goes when American Crime Story tackles the famed car chase on Tuesday night.